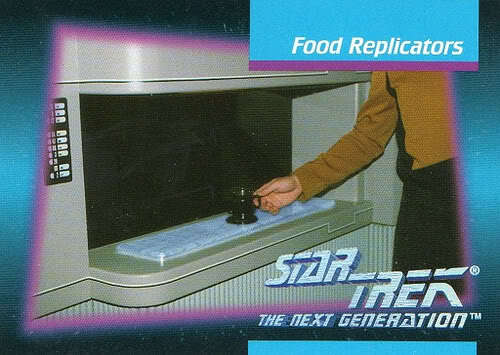 Food replicators: One aspect of the Star Trek universe that never really appealed to me. Okay, in outer space, I could see the necessity. But here on the ground I prefer my food to come from, well, the ground. The team at Cornell University's Computational Synthesis Lab (CCSL) are building a 3D food printer, as part of the bigger Fab@home project, which they hope one day will be as commonplace as the microwave oven or blender. "You can imagine a 3D printer making homemade apple pie without the need for farming the apples, fertilizing, transporting, refrigerating, packaging, fabricating, cooking, serving and the need for all of the materials in these processes like cars, trucks, pans, coolers, etc," he adds. Nature is always smarter than we think we are and plants are smarter than we know. They’re underfoot and underappreciated. But the roots of a plant may demonstrate the remarkable wisdom of crowds just as swarms of honeybees or humans can. Three plant scientists now propose that roots growing this way and that in their dark and dangerous soil world may fit a definition for what’s called swarm intelligence. Each tip in a root system acquires information at least partly independently, says plant cell biologist František Baluška of the University of Bonn in Germany. If that information gets processed in interactions with other roots and the whole tangle then solves what might be considered a cognitive problem in a way that a lone root couldn’t, he says, then that would be swarm intelligence. 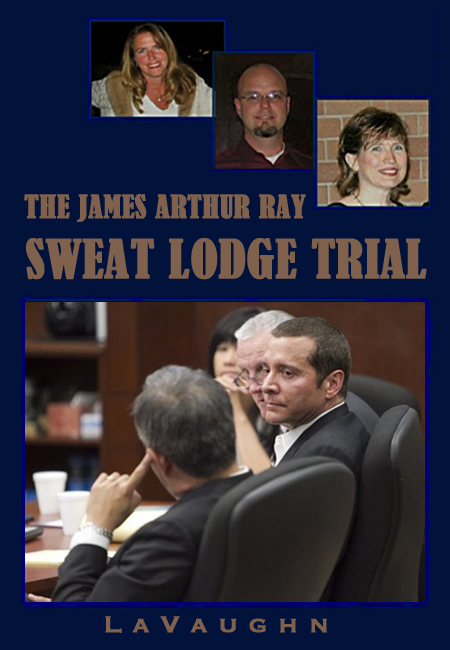 James Arthur Ray would like to have still more evidence thrown out; preferably all of it. Attorneys for a self-help guru facing manslaughter charges stemming from a fatal sweat lodge ceremony want to limit the trial's testimony and evidence to the 2009 event that led to three deaths. Eyes are the windows of the soul; or the soullessness as the case may be. With its technologically advanced animated characters, the 2004 film The Polar Express was supposed to change moviemaking. Instead, it gave audiences the creeps. Reviewers dissed it as "the night of the living dead." Why didn't the audience perceive the characters as alive? Something, they said, was wrong with the eyes. 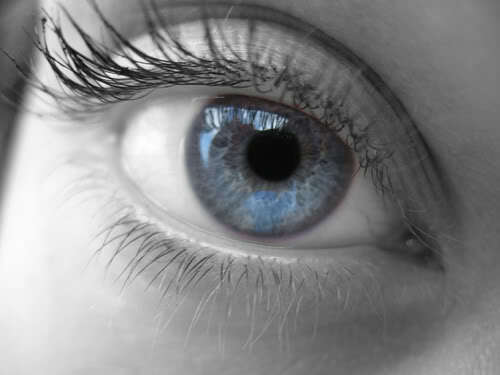 Now, a new study shows just how important the eyes really are when we judge whether a face is that of a living person or an inanimate object. And that ability, the researchers say, is key to our survival, enabling us to quickly determine whether the eyes we're looking at have a mind behind them. "People want to see faces, and we're very adept at seeing faces everywhere: in clouds, a burnt piece of toast, even two dots and a line," says Christine Looser, a Ph.D. candidate in psychology at Dartmouth College and the study's lead author. "And it makes sense to be aware of faces," because they might be those of living, dangerous creatures, such as a grizzly bear. "But we also don't want to waste time on faces that aren't alive, that aren't attached to minds." More evidence that wasps are just incredibly cool. The study, reported on in the journal Naturwissenschaften, began when scientists observed that unlike other wasps, the Oriental hornet is most active in the middle of the day. Further investigation revealed that UVB radiation affects the hornet's activity level. It turns out that an Oriental hornet's shell can trap sunlight, while the pigment xanthopterin converts it to energy. This explains why the hornet is most active mid-day. Could the iPhone save the Cherokee language from becoming extinct? Nearly two centuries after a blacksmith named Sequoyah converted Cherokee into its own unique written form, the tribe has worked with Apple to develop Cherokee language software for the iPhone, iPod and – soon – the iPad. Computers used by students – including Lauren – at the tribe's language immersion school already allow them to type using Cherokee characters. A new species of ancient human has been discovered. Earlier this year Svante Pääbo and his colleagues showed that the mitochondrial DNA from the finger bone displayed an unusual sequence suggesting that it came from an unknown ancient hominin form. Now, using techniques the researchers developed to sequence the Neanderthal genome earlier this year, they have sequenced the nuclear genome from the bone. The researchers found that the individual was female and came from a group of hominins that shared an ancient origin with Neanderthals, but subsequently diverged. They call this group of hominins Denisovans. Unlike Neanderthal, Denisovans did not contribute genes to all present-day Eurasians. However, Denisovans share an elevated number of genetic variants with modern-day Papua New Guinean populations, suggesting that there was interbreeding between Denisovans and the ancestors of Melanesians. Interesting statue fragments were recently unearthed in Egypt. Archaeologists have discovered fragments of a statue of a pharaoh and an ancient god during a routine excavation at what was once the largest temple in ancient Egypt, culture minister Farouk Hosni said on Thursday. According to Egypt's Supreme Council of Antiquities, the fragments -- the legs of King Amenhotep III and a bust of the god Hapi depicted as a baboon -- were uncovered in the ruins of Amenhotep’s mortuary temple on the west bank of Luxor, Upper Egypt. Scientists say that they have found evidence that our universe was 'jostled' by other parallel universes in the distant past. They say they may have found evidence that four circular patterns found in the CMB are 'cosmic bruises' where our universe has crashed into other universes at least four times. Quidditch for muggles... See, without the flying broom, I'm afraid the fun would really go out of it for me. I'm so old-fashioned. Quidditch, the game popularised in the Harry Potter books, is now being played by students around the world. So just how do you turn a magical sport into something that can be played in real life? As a group of college students gather on a cold Sunday morning outside the White House for their weekly sports practice, it's hard not to smirk. Watching adults run around the field with household brooms and mops between their legs, wearing makeshift wizards' capes, is quite a sight, after all. But in non-wizarding society (or the muggle world, for those of you in the know), one has to improvise. More esoteric news items can always be found in the Headlines feed in the right-hand column here.